Friday afternoon, police responded to reports of a shooting outside Rosemary Anderson High School on 717 N. Killingsworth Court. At least three students were transported to Legacy Emanuel Health Center for emergency care. 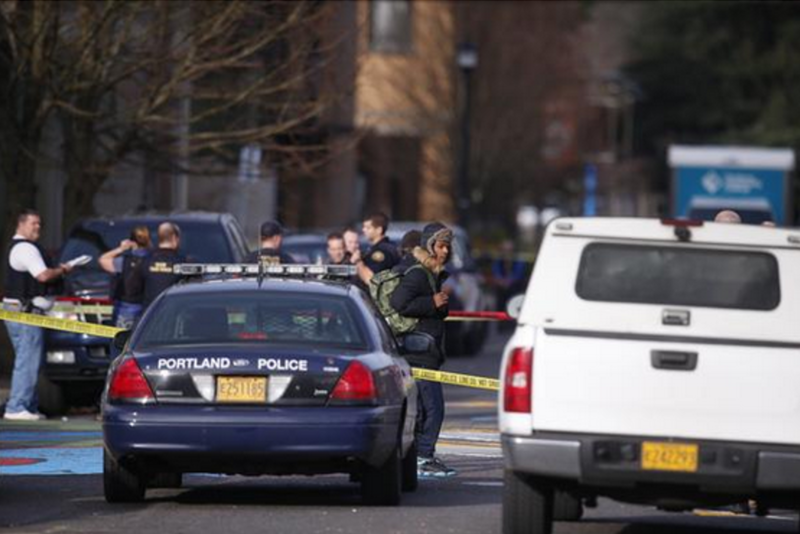 “Obviously we’re thankful we don’t have any loss of life,” said Portland Police Sergeant Pete Simpson. After the shooting, all three victims were conscious, breathing, and able to run to the school building for safety where they were provided medical care by the Station 24 firefighters. Police Chief Mike Reese left the scene to Legacy Emanuel Medical Center to gain further insight from the victims. “They fed us pizza,” said an anonymous 16 yr old student of the police while waiting for the lockdown to be lifted. Officers quickly cleared and secured the area so the students could be safely reunited with their parents. Police are investigating the incident as gang-related. The shooter left the scene and has not yet been found.